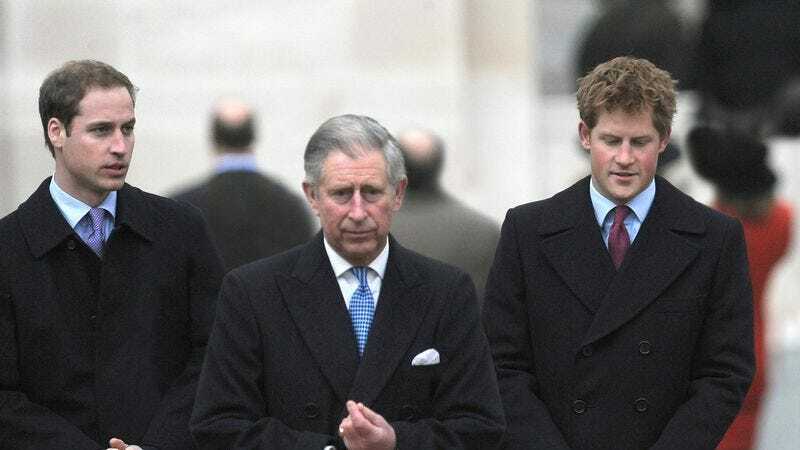 LONDON—Feeling that his sons were finally mature enough to handle the truth, Prince Charles reportedly decided Thursday to tell Princes William and Harry what really happened to their mother, the late Princess Diana. “Boys, gather around, there’s something important you need to hear,” said His Royal Highness the Prince of Wales, 63, taking a deep breath before explaining to his sons that their mother had in fact died in a car crash in 1997. “I know this may come as a shock, but I think you two are old enough now to know the real story. You should also know that I’ve remarried.” Observers of the Royal Family expect Charles to wait another 15 years before letting Prince William know how many young women the queen vetted before ordering Kate Middleton to marry him.